A fresh coat of paint can help to extend the life of your fence while making it look beautiful. Wooden fences are exposed to a variety of weather conditions throughout the year – snow, dirt, sun, rain – and these elements can damage the wood. 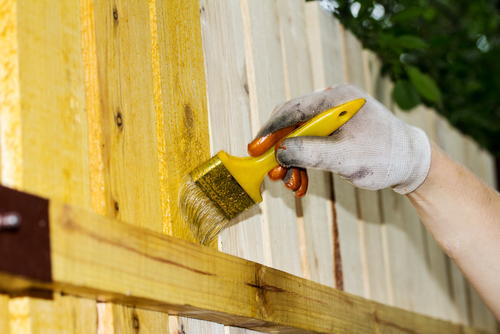 To protect your fence, you’ll want to ensure that it is waterproof, and with the right paint or stain, you’ll also prevent the wood from twisting or warping. While stain is recommended for deck floors and other wooden walking surfaces, vertical wooden planks that are used in fence painting can be in any color. Whether you want a vibrant fence that becomes a talking point for your guests or you want something more subtle that matches your house, we can paint your fence to your exact specifications. Your painted fence will require minimal maintenance, so it is a great investment for your overall property. Call us at Jeff Newlin Painting today to find out more about what we have to offer.